The laws and regulations regarding water usage in industries is continuously becoming stricter. Costs rise and quality requirements become stricter. Disinfection may be mandatory, or post-treatment may be requested to decrease biological oxygen use, chemical oxygen use, or specific micro pollutions. With all these developments, a smart treatment of your water is increasingly important. We offer custom UV disinfection systems for the processing industry. Thanks to UV disinfection, you are able to save and reuse waste water, chemically and microbiologically polluted water, cooling water, and product water. That will save you money and lead to more efficient use of resources. 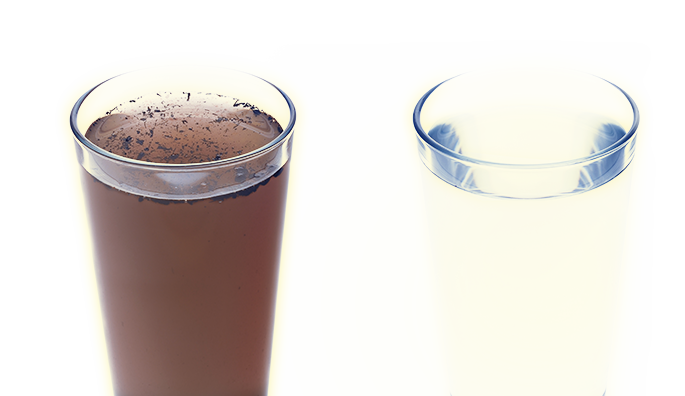 Along with the use of UV, with which you can make water reusable, we have a number of advanced oxidation solutions (AOP). This combination of UV with peroxide or ozone breaks organic components down to smaller, biologically more easy to break down, molecules or carbon dioxide and water. We are experienced in advanced oxidation technology and closely involved with developments in UV oxidation techniques. In collaboration with research and engineering partners, we have solutions for expansions of the AOP concepts that can be applied in lowering TOC concentrations, cyanide, pesticides, medicine residue, X-Ray contrast liquids, and antibiotics.